The First African Methodist Episcopal Church: Bethel was organized in 1819 when Bishop Richard Allen sent the Reverend William Lambert of the Philadelphia Conference to New York City to establish an independent church that would be directly controlled by African Americans. Twenty individuals united with Reverend William Lambert to lease a schoolroom on Mott Street for seven years, and thus, Bethel A.M.E. Church was organized. Bethel experienced some challenges in getting permanently situated. After moving several times to other rooms, the faithful members secured property on Second Street between Avenues B and C. The church was consecrated and it flourished for a time. In 1851, the Reverend J.B. Campbell was appointed to Bethel and it was at this time that African Americans began to migrate northward. Because modes of transportation were limited, African Americans could not easily or conveniently reach the church. 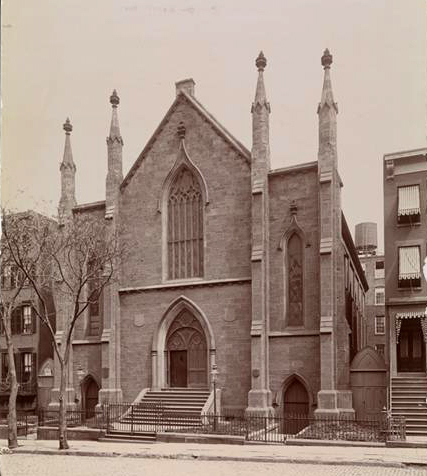 In 1862, the congregation purchased the former Sullivan Street Methodist Episcopal Church, built in 1839 at 214 Sullivan Street, where they remained for the next three decades.. The congregation moved in 1894 to West 25th Street, between Seventh and Eighth Avenues, in the "Tenderloin district" of the city. The Gothic Revival building was erected in 1878 for the First Free-Will Baptist Church. 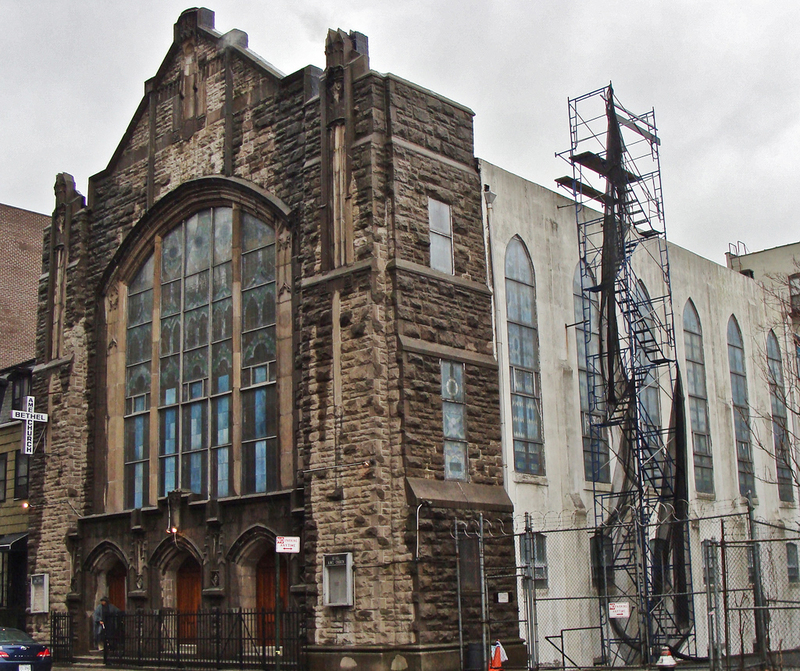 Bethel moved to its present location on West 132nd Street when it joined the exodus of African Americans to Harlem. Designed by Wengenroth & Matsin, the neo-Gothic brick sanctuary features a rock-face façade with a large window above the entrance. The present organ is the work of Southfield Organ Builders of Springfield, Mass., who in 2010 tonally and mechanically rebuilt the Casavant Frères organ that had been installed in 1935. Southfield added several new stops and updated the console with a solid state combination action. Following are the specifications taken from photographs of the updated console. Pipecounts and extensions are suggested, based on the previous Casavant organ, and do not indicate any digital stops that may have been installed. The Casavant Frères factory specifications (Aug. 27, 1935) indicate that the detached console was of black walnut with interior fittings of polished mahogany. Casavant did not provide a case, display pipes or a screen, retaining those from the previous Möller organ. 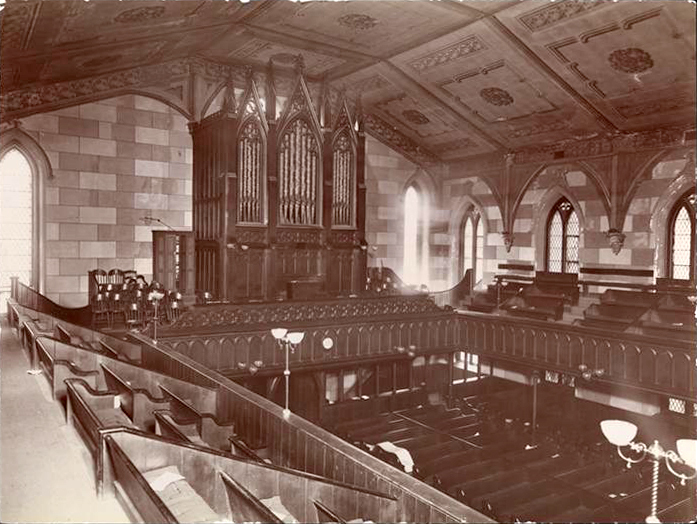 The organ in the former First Free-Will Baptist Church on West 25th Street was built by George Jardine & Son of New York City, and was probably contemporary with the opening of the building in 1878. 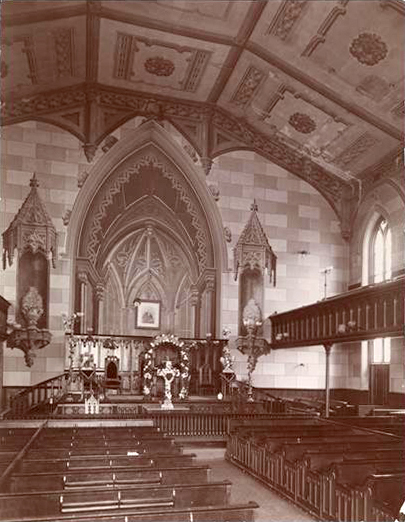 The two-manual organ had 23 stops and was located in the rear gallery, as seen in the 1897 photo above. Specifications for this organ have not yet been located. Scheer, Stanley. Factory Specification (Aug. 27, 1935) of Casavant Frères Organ, Op. 1516. Byron Company (New York, N.Y.). 1897 photos of exterior; interior; gallery showing George Jardine & Son organ (1894). Casavant Frères Archives. Interior showing Casavant Frères organ, Op. 1516 (1935). Courtesy Jeff Scofield. Manzerova, Julia. Exterior of present building. Schmauch, Dave. Chancel and console of Southfield organ, Op. 93 (2010).